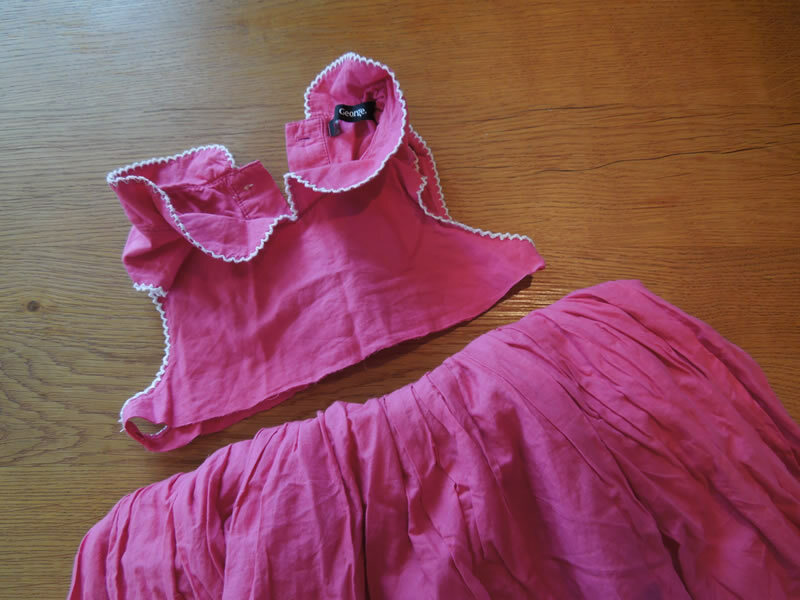 There is nothing worse than buying a beautiful dress for your baby girl only to find out that by the time the sun has come out it doesnt fit anymore. Oh how quickly they grow! 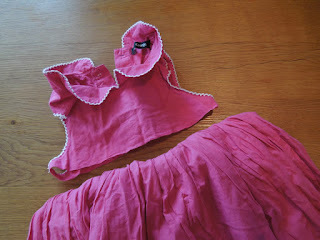 Well here is an idea that may work for those dresses that have become a little tight up top but still have a beautiful length. 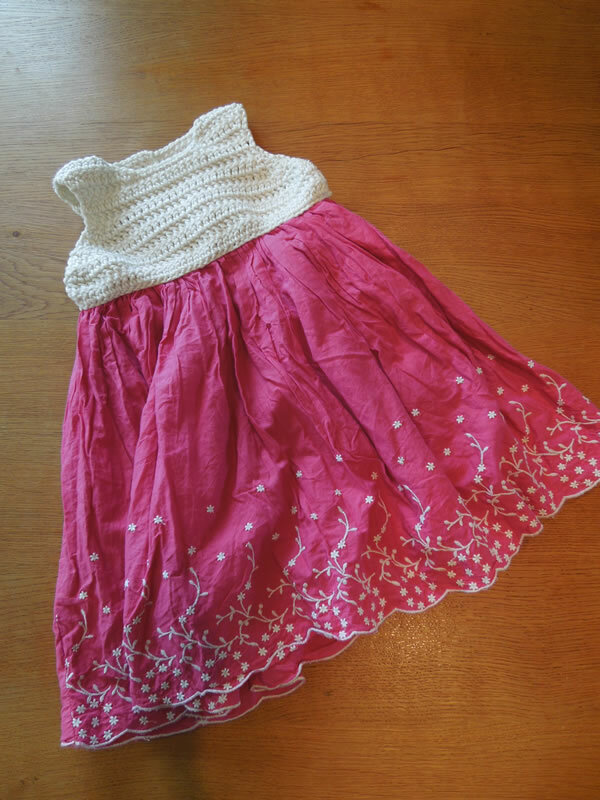 I took this sweet little dress that had sadly become too tight for my little girl in the chest area and chopped off the top half. This was actually quite difficult to do and may take some courage! 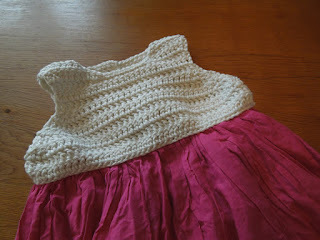 Then I measured roughly around my daughter's chest area and worked up a simple vest top shape using some cotton yarn. The back I worked with a long gap and using the buttons from the original chest piece I sewed them on and crocheted some simple button loops. 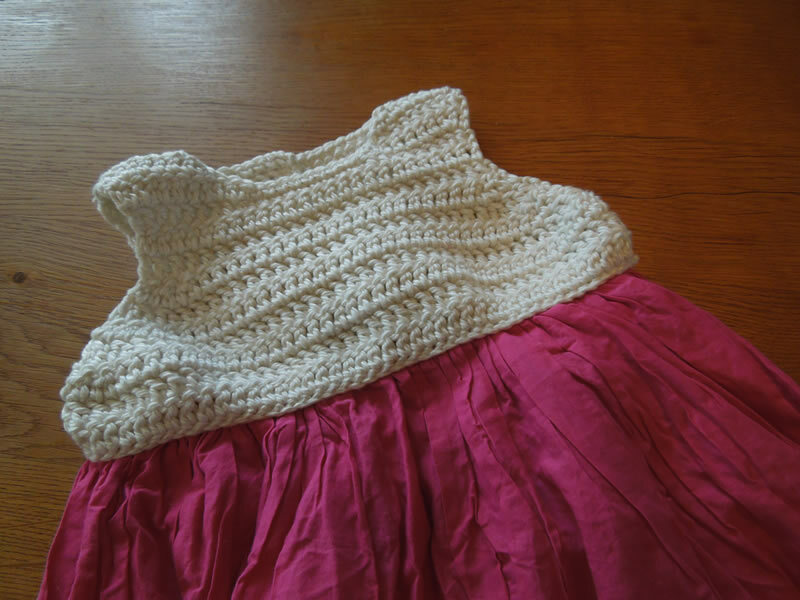 I then sewed my crocheted vest onto the remainder of the dress with some similar but thinner cotton yarn, making sure to hide my stitches. The finished results don't look too bad and will add a few more months of use!